DETROIT -- Alpha Puck, Velodyne Lidar's new flagship for its surround-view sensors, is capturing automotive business for the Silicon Valley company. 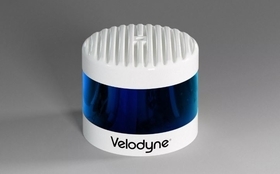 Velodyne says the manufacturing process — designed specifically for the new lidar system — is part of the secret of the technology's early success. The lidar sensor, officially known as VLS-128, incorporates 128 lasers, provides real-time 3D data up to 0.1-degree vertical and horizontal resolution, has a 300-meter range and features a 360-degree surround view. The system has surpassed other available lidar systems, based on three parameters — field of view, resolution and range, said Mircea Gradu, Velodyne senior vice president of quality and validation, speaking on the sidelines of SAE International's WCX World Congress Experience here. Gradu said the technology is attracting interest from a long list of customers to use in Level 4 and Level 5 autonomous applications. 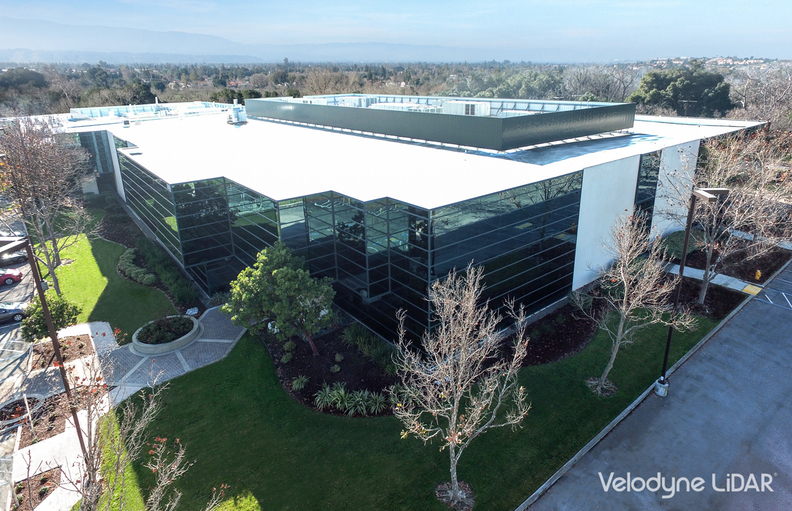 The technology earned Velodyne a 2019 Automotive News PACE Award on Monday. Gradu, an industry veteran with stops at Daimler, Fiat Chrysler Automobiles and Hyundai Motor America, joined Velodyne in 2017. He said the manufacturing process for the Alpha Puck at Velodyne's plant in San Jose, Calif., is a departure from the company's previous sensors, which included manual operations throughout production. The assembly process is a critical aspect of sensor manufacturing, Gradu said. "Aspects like alignment and calibration are something that we addressed through robotic systems that we put in place. Rather than having operators performing alignment calibration operations, we do that in an automated fashion." Robotized production means that each assembly operation is recorded as a transaction and can be referenced later. "You have a birth certificate of the sensor with the most accurate information," Gradu explained. The Alpha Puck is an evolution of Velodyne's previous sensors, including the HDL-64, VLP-16 and VLP-32, he noted. "As the name says, by having a higher number of laser beams, that leads to a higher resolution in the desired areas of interest for the image," Gradu said. "You're trying actually to create a denser image with a high level of detail. Identifying limbs on a pedestrian is extremely important because you can certainly follow the movements and derive some conclusions in terms of trajectory of that pedestrian. More resolution and range is extremely desirable."